The restrictions on the viewing window for content available on the BBC iPlayer form a major barrier to the pubcaster meeting its remit of delivering a universal service as audiences turn to digital platforms, and regulator Ofcom’s approach runs the risk of “tying ourselves up in red tape and regulation at a time when media organisations need to be fast and agile”, according to BBC chairman Sir David Clementi. Speaking at the Oxford Media Convention yesterday, Clementi said that the BBC’s ‘meet the audience’ events, where members of the viewing public are given the chance to express their views on what the corporation is doing well or badly, had shown that people were increasingly expecting to be able to binge-watch complete series. “The BBC is not felt to be meeting this desire well, especially because of the perceived limitations in the viewing window for BBC iPlayer,” he said. Clementi said that the pace of change, especially among younger viewers, was “remarkable”, with 16-34 year olds now spending more than half of their screen time each day watching non-broadcast TV. 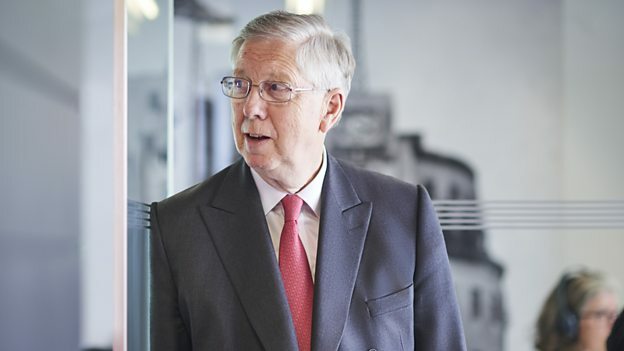 Clementi said that not being able to meet changing expectations because of out-of-date restrictons threatened the BBC’s mission to deliver a universal service. “The principle of universality is fundamental to the BBC’s public service remit, and always at the forefront of our thinking.We are acutely aware of our responsibility to ensure that the BBC not only continues to reach everyone with its public service mission, but also offers value to everyone,” he said. He said that the iPlayer service was no longer simply a catch-up offering but a destination in its own right, and that the BBC’s plans to make programmes available for 12 months or more, and to make series box-sets available for returning series were crucial to this. The BBC chairman said that it was important that UK public service broadcasters “are not disadvantaged against large global competitors”. He said that there was a danger of Ofcom taking “a narrow view of the market place” by focusing only on competition with other broadcasters and Sky’s Now TV rather than Netflix and Amazon. He said that those two companies now had a joint market share of 55% of the VOD market, while iPlayer’s share had fallen from 40% to 18% in four years. He said that Ofcom should only step in to intervene “where there is actual evidence of harm” rather than an “analysis of hypothetical competition risk”. Clementi said that the eight month time limit for Ofcom to consider changes the BBC makes also needed “to be looked at again”, given the pace of change in the market. “I urge the Government to take legislative action, and to take action to strengthen the PSBs as and when they get the chance,” he said.